This beautiful ancient town was voted the most attractive village in the country and its inhabitants take great pride in it. The city walls are still standing and most sites are a short walk from the main square, called Piazza Silvestri. 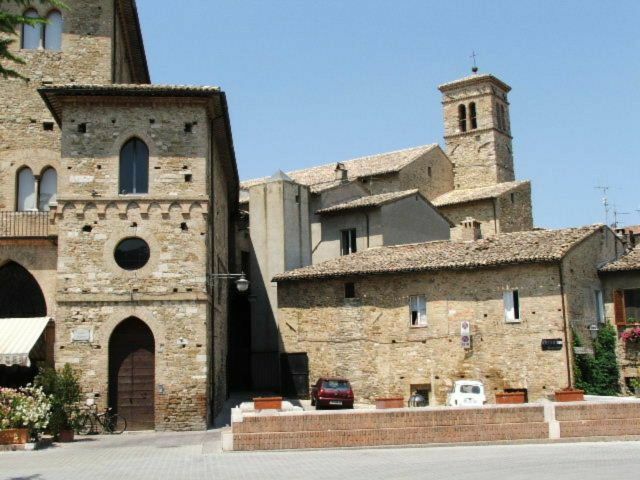 Originally the town was peopled by the Umbrians, then taken over by the Etruscans and the Roman Empire. 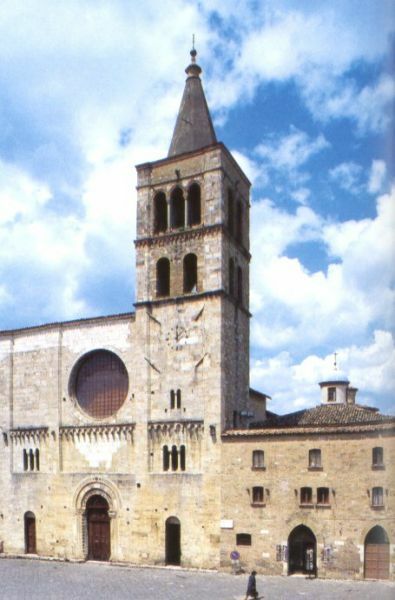 The city abounds in Romanesque churches and enoteche. The Pinacoteca Comunale has a simple collection of local archaeological pieces and ceramics. When buying the ticket to the pinacoteca you also get entry to the Roman Mosaic Museum of Antiquities housing floor tiles from Roman baths, all kept in very good conditions, the vestiges of a Roman theatre, Roman and medieval walls and ruins of a monastery and winery. 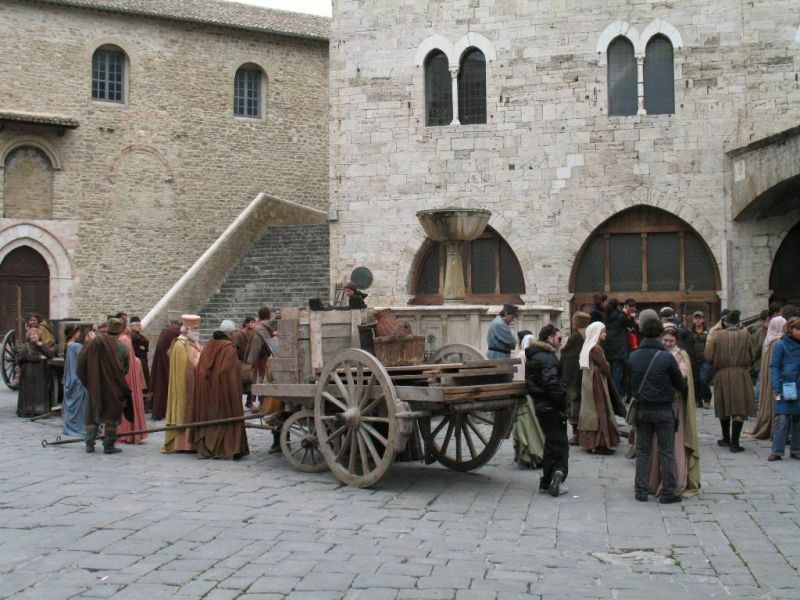 During the Festival of the Gaite that takes place at the end of June Bevagna returns to the Middle Ages. People wear historical costumes and craftsmen show their trades: glass blowing, candle making and ironworks as they were done in "the olden days". The Festival of the Snail is held in Cantalupo di Bevagna at the end of August. Snail dishes are served in every possible way… roasted, in sauce, etc.. The festival also includes displays, dancing and entertainment. Snails are local specialities served at almost all restaurants. The Pro Loco tourist office provides information specifically about accommodation and wine tasting. Enoteca and Locanda Piazza Onofri is a delightful restaurant and wine shop. Ristorante L’Orto degli Angeli offers a menu which changes from week to week although the dishes are always Umbrian classics. La Bottega di Piazza Onofri which is located centrally serves up homely dishes and good wine served by the glass. Coccorone is located in a little street rather off the beaten track. You can savour your meals sitting out on the street. Unusual delights are served for adventurous diners with a menu including game, pigeon and snails. La Farfalla, run by a Sicilian family, serves fantastic wine, icecream and cannoli (stuffed pasta) along with much more. BY BUS: To Foligno (duration: 20 minutes, services: 6 a day), to/from Montefalco (duration: 20-40 minutes, services: 5 a day).